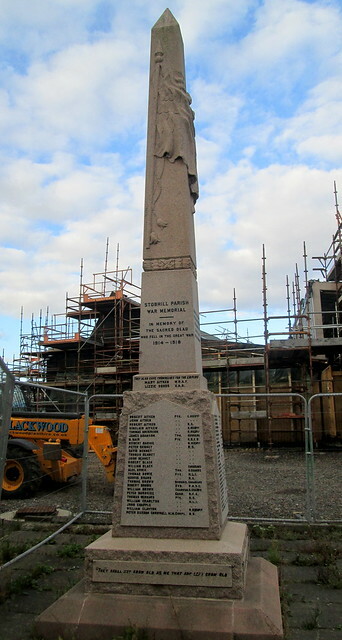 Stobhill Parish War Memorial, Midlothian, Scotland, lies alongside Hunterfield Road. I came across it on my way back from Crichton Castle and Crichton Collegiate Kirk. It’s unusual in having a pyramidal obelisk with the representation of a flag draped round it from a standard.